Soaring. Or so it feels, that incredible feeling of being above it all, perched on a sunny mountain summit, surrounded by views. 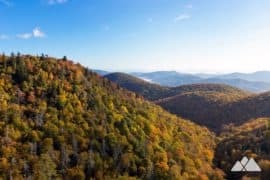 There’s just something magical about seeing the world from above, wrapped in summit breezes and surrounded by rolling Blue Ridge beauty. Some of western North Carolina’s best summit views are easily accessible from Asheville, thanks to the winding, meandering stretches of the Blue Ridge Parkway. 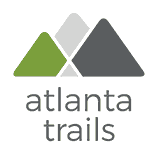 Climbing from the Parkway to some of the highest summits in the South, these trails duck through gorgeous, high-elevation forest and cross open, grassy mountain balds to score exceptional, jaw-dropping views. 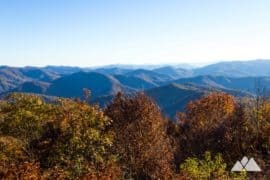 And while it’s literally filled with amazing views (see the full list of our favorite Blue Ridge Parkway hikes), we’ve whittled this list down of favorite mountaintop hikes near Asheville to just ten: the best, most hike-worthy adventures with the most breathtaking views at the end. 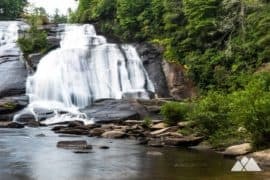 Grab a backpack, hit the Blue Ridge Parkway and head for an excellent adventure, or two: combine several of the shorter-length hikes in our list for a full day of summit-filled beauty. 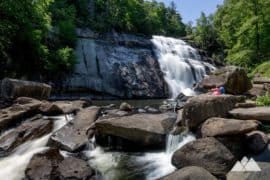 Don’t forget to pack water, hiking gear essentials and layers: many of the surrounding summits can be chilly, even on a hot Asheville summer day. And before you go, check the Blue Ridge Parkway official site for road closures and advisories. 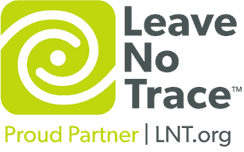 Explore each trail’s info page to get driving directions, full trail info, interactive maps, and photos, to help you make the most out of your hike. 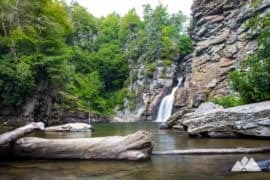 And don’t forget to snap a few photos from your summit adventures: these hikes are fully Instagram-worthy! 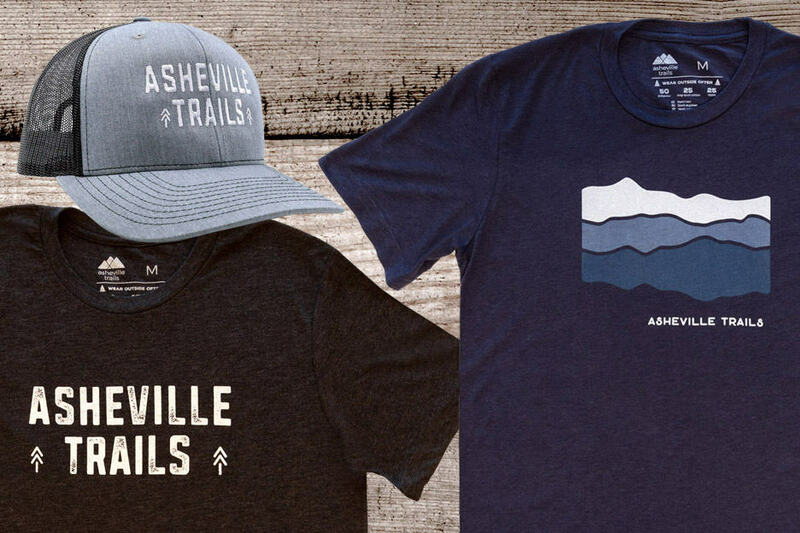 Tag your best shots with #ashevilletrails… we’d love to see them! 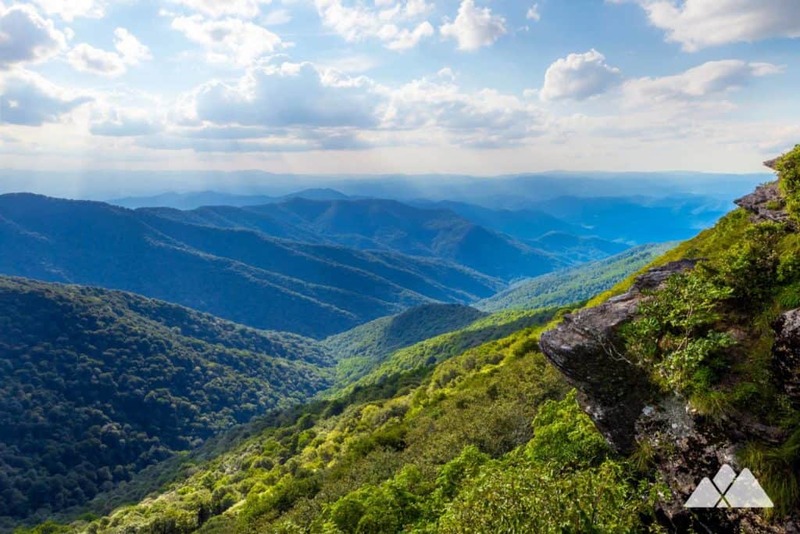 The views from Rough Ridge are simply some of the best on the Blue Ridge Parkway. 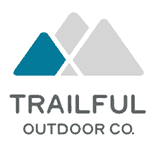 Hike the Tanawha Trail through a dense, rocky forest before summiting the ridge, catching view after breathtaking view from a series of wooden platforms, boardwalks, and extensive rock outcrops. 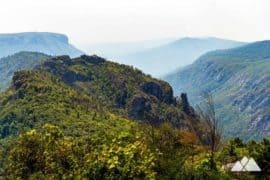 Soak in the sensational views, but don’t forget to look down, too – the rocky Rough Ridge terrain is home to a fragile ecosystem of rare plants. Hike this classic Parkway trail, climbing to the summit of this rocky peak with a sinister-looking profile. 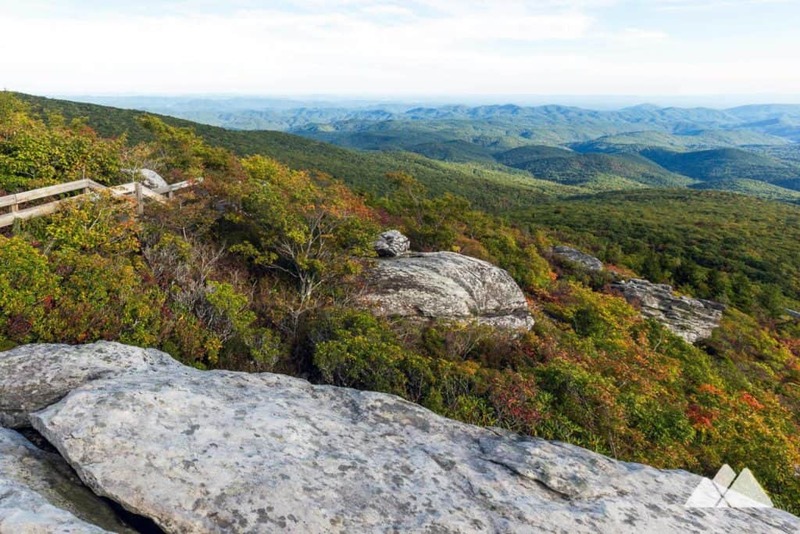 The views from Devils Courthouse open in full panoramas – and sunsets from the summit are simply amazing. 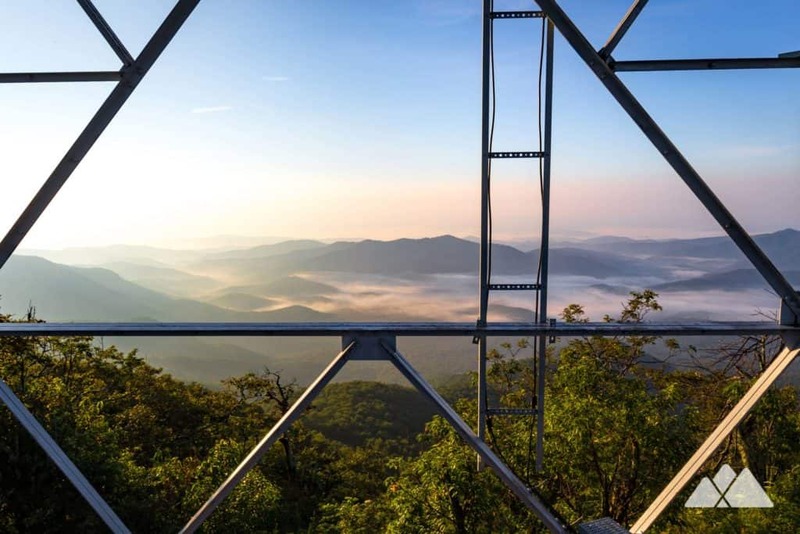 Hike a short, 1.5-mile roundtrip to the historic Fryingpan Mountain fire lookout tower, climbing from the Blue Ridge Parkway on an old gravel road lined with wildflowers and wild berries. 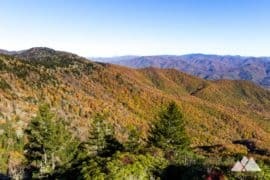 Score some spectacular views from the tower’s lower levels, stretching far on the vast horizon and to nearby Mt Pisgah. Hikes just don’t get much better. 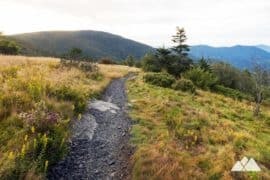 This view-packed adventure follows the Art Loeb Trail over the rolling, grassy mountain balds at Black Balsam Knob, Tennent Mountain, and Flower Gap, catching nearly continuous views of the surrounding Shining Rock Wilderness for most of the hike. 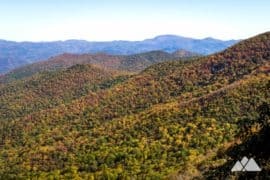 The hike’s end destination is one of the most unique mountain summits in the South: the brilliant white, quartz-encrusted summit of Shining Rock, where views are plentiful and white rock outcrops pierce through a pine forest. 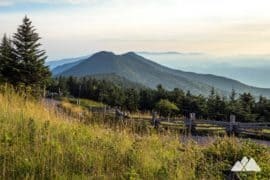 On clear days at Mount Mitchell (which can be rare), the views from the 6684-foot mountaintop are breathtaking, and easily some of the best in western North Carolina. 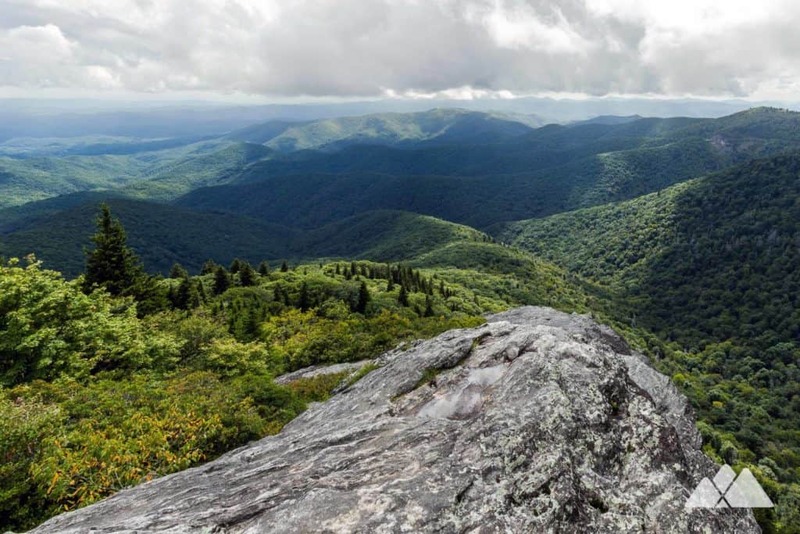 Summit the highest mountain east of the Mississippi, climbing to the summit’s observation platform on the 2-mile Old Mitchell Trail to catch gorgeous, 360-degree panoramic views. 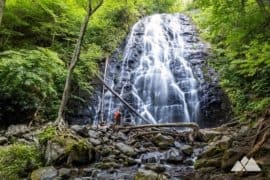 Then loop back to the trailhead on Mt Mitchell’s Camp Alice and Commissary Trails, visiting a small, tumbling waterfall and hiking through meadows of abundant wildflowers and wild berries. 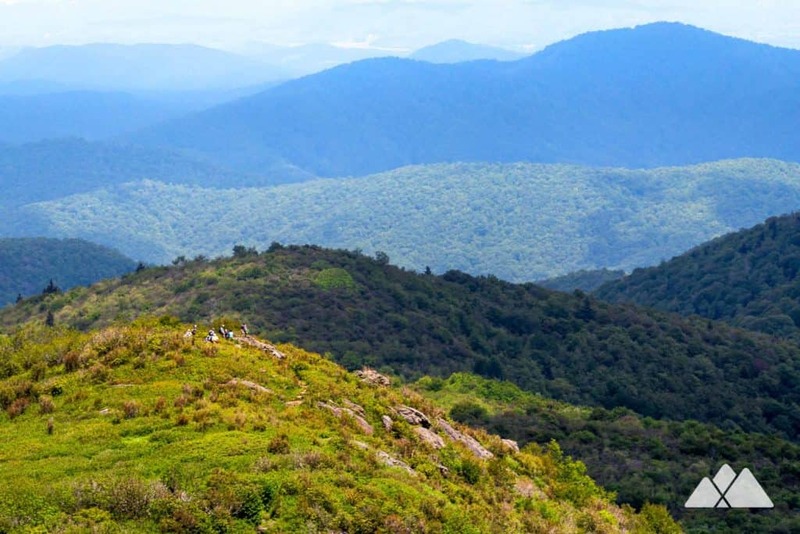 Hike through a beautiful, dense forest filled with rhododendron and blueberries to the grassy, sun-drenched summit at Craggy Gardens. 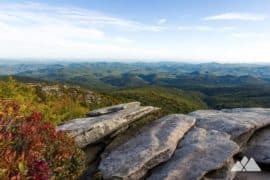 The views from the Craggy summit are especially splendid in springtime when blooming rhododendron and azalea frame views of the surrounding Blue Ridge. 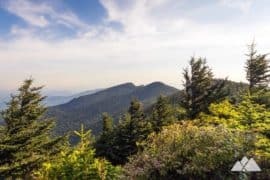 Hike through a forest of gnarly, twisted rhododendron, lush green moss and rare, high-elevation plant life to stunning views from Craggy Pinnacle, scoring a high-elevation, 360-degree view of Craggy Gardens. 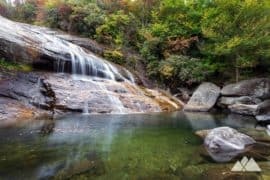 At under a mile, round trip, this hike scores high on our list for minimal distance with maximum beauty. 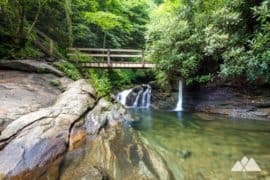 Hike through a mossy forest of fern and rhododendron, climbing from the Blue Ridge Parkway to a duo of wide, weathered rock outcrops. Views from the southern Beacon Heights overlook stretch to the nearby Grandmother Mountain, and the distant Table Rock Mountain and Mount Mitchell summits. 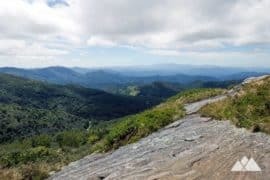 And the northern overlook views are spectacular, with the towering ridge of Grandfather Mountain on the near horizon. 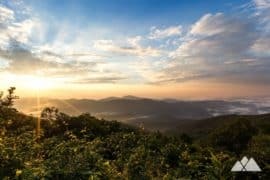 Hike five miles off the Blue Ridge Parkway to score nearly continuous, sublime, 360-degree views. 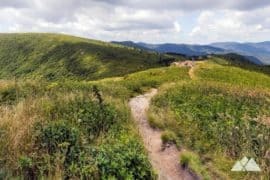 This view-packed adventure follows the Art Loeb Trail and Ivestor Gap Trail at Black Balsam Knob, soaking in 360-degree panoramic views for nearly all of the hike. 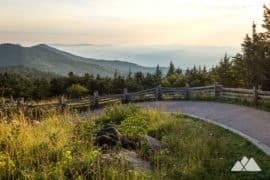 This hike’s duo of grassy, wildflower and wild blueberry-covered mountain balds offer some of our favorite views in all of the South. 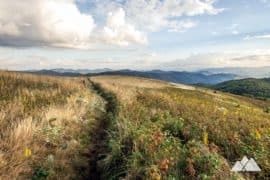 Hike to the soaring Sam Knob summit, trekking through a vast, wildflower-filled, sun-drenched meadow before summiting Sam’s rocky mountaintop. 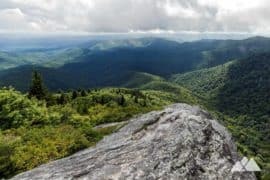 Views from Sam Knob stretch far and wide into the Shining Rock Wilderness, to Devils Courthouse and over the grassy ridgeline of Black Balsam Knob and Tennent Mountain. 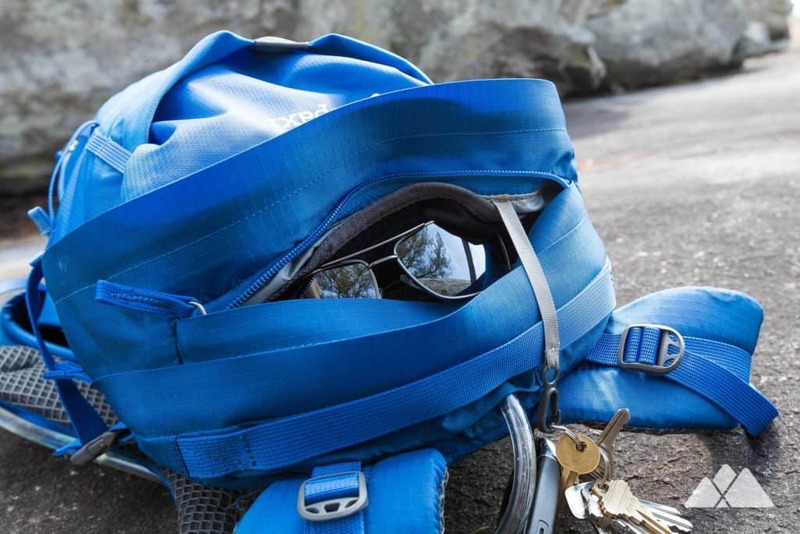 The sunny summit is a perfect place to relax and soak up the views – so pack a snack and stay awhile.